1. What does error message X mean? See the FAQ section on frequently encountered errors. 2. Can I use Genome STRiP to do discovery or genotyping in a single high-coverage individual? will need data from at least 20 or 30 individuals to get good results. strategy, please share your experiences. 3. Does Genome STRiP only work with deletions? and genotyping of other kinds of structural variants. Not at this time, but we are planning to release the source code shortly. 5. Can I run discovery on a small genomic region? using the standard -L argument to the GATK. For example -L chr1:1000000-2000000.
with the -configFile command line argument). while genomeSizeMale and genomeSizeFemale are in diploid bases. 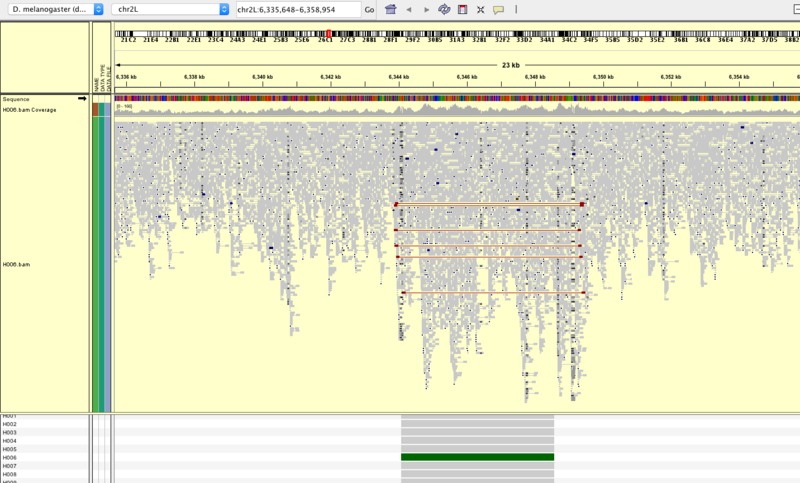 Does Genome STRiP now find CNVs that other than deletions? You really need to update this or provide a link to a current FAQ. Yes, I've attached a png and pdf of a heterozygous 4Kb duplication, identified and genotyped using the GS CNV pipeline (not the GS SV pipeline). Beware of single events that GS splits into multiple.